Full time chef required to join our ever expanding professional team .Minimum 3 years’ experience required. Also waiter/waitress required, experience essential. We are looking for a PART-TIME RECEPTIONIST to join our Team in Connolly Volkswagen Ballina! For more information or to apply online visit http://bit.ly/2GxGGsb. Belleek Castle are offering an exciting opportunity to Commis Chefs to join their award winning team. Candidates will be offered an opportunity to work and gain valuable experience in a kitchen creating artisan food using local produce. Applicants should be motivated and passionate about good food and quality produce. 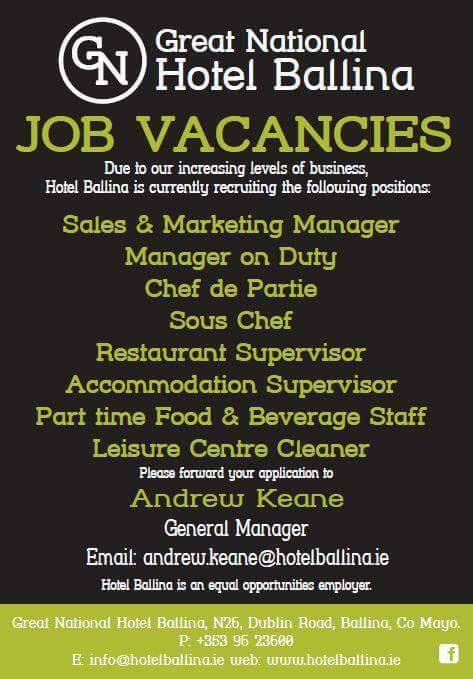 Email your CV to pa@belleekcastle.eu or ring us on +353 96 22400. 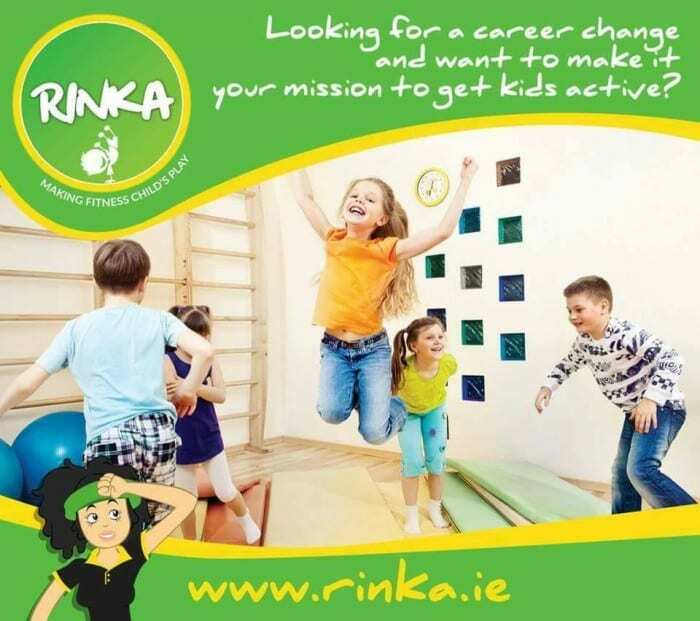 Experience working with children is desirable. 10-15 hours a week, mostly evenings and weekends. We are looking for experienced bar staff. Cafollas are now taking CVs online through Facebook, or via email to cafollasrestaurant@gmail.com. Any successful candidates will be contacted by telephone so please be sure to include your telephone number. Make sure the store is merchandised and replenished efficiently so that our customers have access to the amazing value products we sell. Make sure the store always looking fantastic! You’ll also be responsible for opening and closing the store, cashing up, health and safety checks, stock replenishment and most importantly support, coach and motivate your team to deliver amazing results! You’ll be a key support to your Store Manager and this is a fantastic role if you’re looking to progress your career thorough the ranks with Dealz.